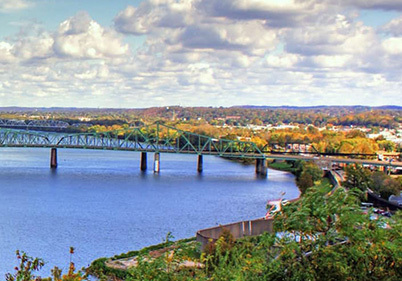 Working with the State of West Virginia, Jackson County can provide incentives and benefits allowing companies locating here to be established with less capital and with greater savings, both in the short and long term. Available incentives include tax credits, low-interest loans, training grants, infrastructure improvements, as well as customized local inducements. The Historic Tax Credit (HTC) program encourages private-sector investment in the rehabilitation and re-use of historic buildings. The federal tax credit allows program participants to claim 20% of eligible improvement expenses against their federal tax liability. The State of West Virginia offers a comparable historic tax credit of 25% that is able to be paired with the federal tax credit; therefore, an eligible project could qualify for up to 45% of tax credits for the renovation of a histrionic building. When utilized, NMTC can account for a 20-30% reduction in the overall cost of a project. According to the Economic Innovation Group, Opportunity Zones are a new community development program established by Congress in the Tax Cuts and Jobs Act of 2017 to encourage long-term investments in low-income urban and rural communities nationwide. The Opportunity Zones program provides a tax incentive for investors to re-invest their unrealized capital gains into Opportunity Funds that are dedicated to investing in Opportunity Zones designated by the chief executives of every U.S. state and territory. 2. Mixed manufacturing, commercial and residential areas near U.S. 50 and the Little Kanawha River.